Barbie and Tawny are ready to ride! With realistic movement, it’s going to be an adventurous day! Place Barbie into the signature pink saddle (a clip and stirrups hold her in place), and move Tawny along as they set off. Reward Tawny after a long ride by feeding her carrots or hay – she can bend to pick them up! Quench her thirst with water from the bucket. 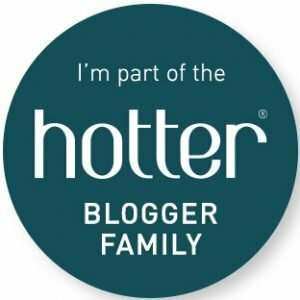 Then push on Tawny’s saddle to say thank you! Use the brush included to groom Tawny’s magnificent mane and tail. 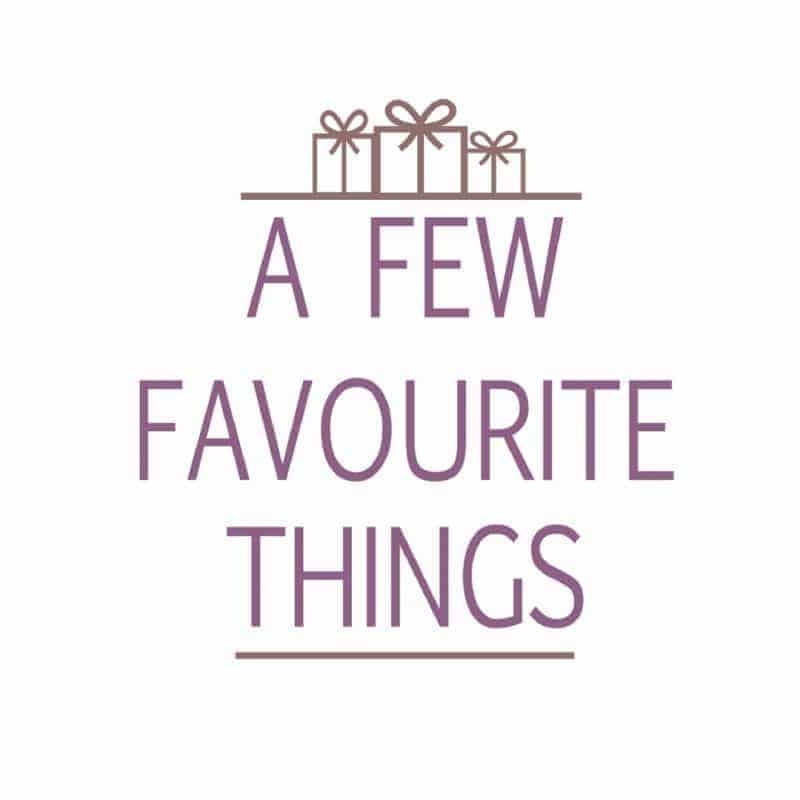 Tawny horse nuzzles Barbie doll to say thank you – simply push the front of her saddle to activate the motion! Tawny can even bow down to ‘drink’ out of her bucket – activate by pushing the back of her saddle! Whilst this is just a toy, Mattel have given the some thought to the safety aspects of horse riding. 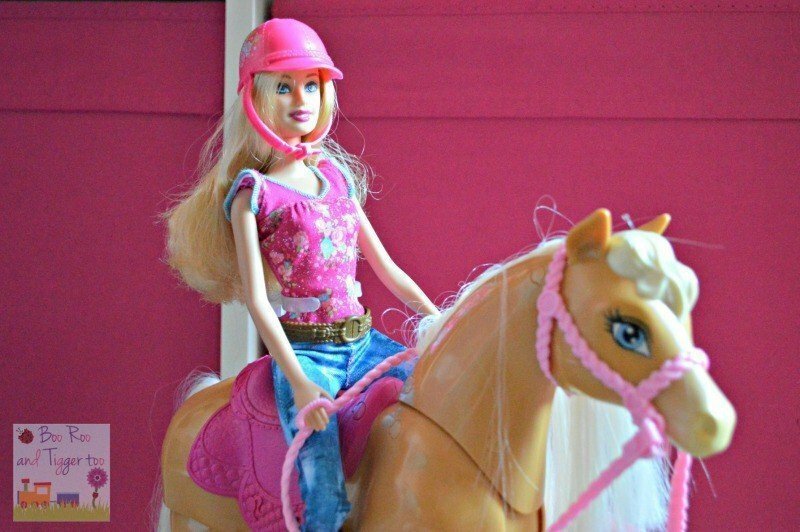 Barbie can only safely ride Tawny horse when she has her trademark pink safety helmet, feet in the stirrups and holding tightly to the safety reins – instilling good safety for any would be horse rider. I can remember having a Barbie and horse when I was younger and poor Barbie wouldn’t sit on the horse very well and kept falling off; thankfully things have moved on since I was a girl and this new Barbie Cuddle and Feed Tawny Horse set includes a clip to hold Barbie onto the horse and includes a range of safety accessories too. Whilst Roo has a selection of different Barbie’s she has got a horse and boy was she excited to see this sitting on her bed after school! Quick as a flash it was out of the packaging (all by herself I might add) and all set up ready for a spot of show jumping (cue pens and books made into makeshift jumps). Tawny’s ability to bow and nuzzle really makes it so much more intractable than just a standard horse. 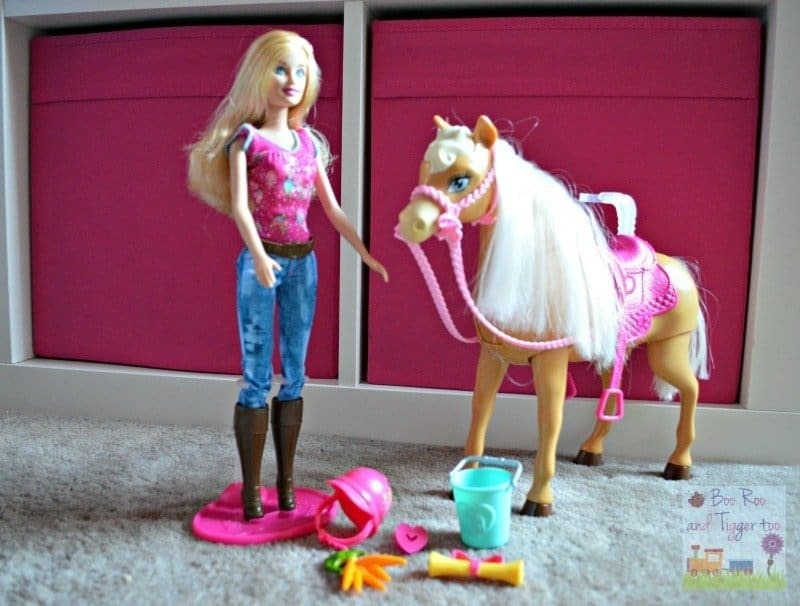 Available from Amazon, Argos and all other good toy retailers with a £39.99 RRP, which I feel is a good price for this Barbie and Tawny Horse set. Disclosure: We received a Barbie Cuddle and Feed Tawny Horse FOC for the purpose of review.